Rackspace after United Kingdom and Australia arrived in Mexico. This is a winning strategy for a good company in a country where the cloud market is expanding fast. Mexico is not a land that is completely unknown to the brand. For several years, in fact, there are many existing customers; mostly for the Managed Services, but these was not enough. In a country with continuous expansion, where cloud computing is a thriving market, Rackspace was not able to actively bring their service to Fanatical Support level without physical movement. Whether Cloud Computing is Fools Computing or not (c.f. Richard M. Stallman) that might have doubt, eventually the concept might change, but possibly most of the customers of Rackspace remain glued for the quality of management – from backend to excellent support. It is not Cloud Computing, but the excellent strategies to manage the premium clients made Mosso to grow so fast and at stable rate. To entice the American provider certainly also the figures are released by Gartner, according to which the annual growth rates are quite higher, relative to cloud computing, and it will touch the record over the next few years, especially in the Asia-Pacific region and in Latin America, with particular focus on Argentina, Mexico and Brazil. Although in Western countries there is an increase of cloud at about 19% rate; northern Europe, as well as in North America will witness a slowdown due to the ongoing crisis. Gartner has predicted that Mexico™s public cloud market is expected to grow by 25 percent from 2012 to 2017 and will be worth nearly $2 billion. For this reason the providers such as Rackspace, are shifting their attention to countries such as Mexico, while not neglecting the western countries where the vast majority of companies resides that will need in the near future of cloud solutions. More and more companies are looking for both public cloud and private cloud solution. Hybrid cloud as we wrote before is the ideal solution especially for those companies that, have established own infrastructure, while they want to move gradually to the public cloud, they want a gradual movement of their resources to external providers. It is therefore an ideal solution, where flexibility, accessibility and above all, the cost are such a figure from which a company can not ignore in any way whatever. Private and Hybrid cloud also attracts the customers via OpenStack more. A public Cloud user hardly will know or rather interested about OpenStack but for Private and Hybrid the Private Cloud Software matters and practically in this Open Market, except the middle market of PaaS, Rackspace has no competitor. Amazon leads for other reasons as we have focused on that part before. This Article Has Been Shared 2274 Times! OpenStack is an Open Source Software which is the build block behind many Private and Public Cloud. OpenStack has changed the way of Private Cloud Computing. Private Cloud Platform Selection : OpenStack, VMWare or Microsoft ? Private Cloud Platform Selection has more than one reasons to take the latest packages under the magnifying glass and analyze to build private cloud for own. 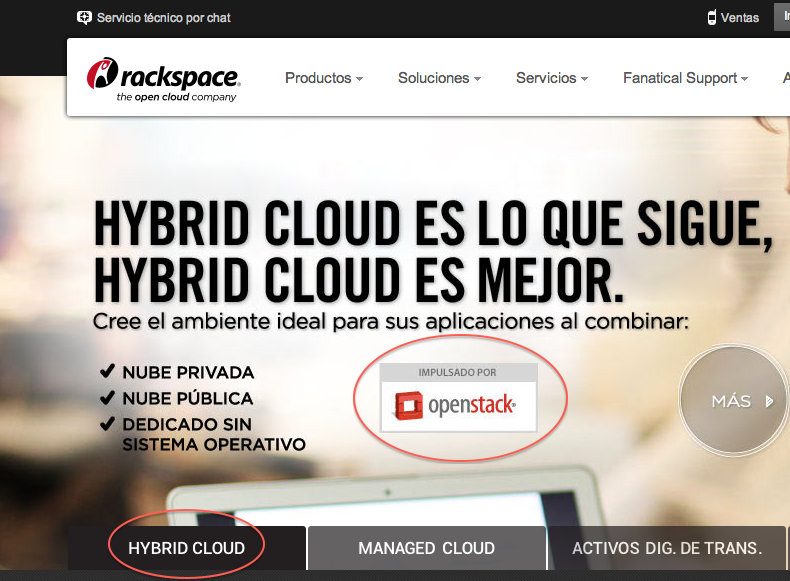 Cite this article as: Abhishek Ghosh, "Rackspace Cloud Lands in Mexico : A Giant Leap," in The Customize Windows, July 24, 2013, April 21, 2019, https://thecustomizewindows.com/2013/07/rackspace-cloud-lands-in-mexico-a-giant-leap/.